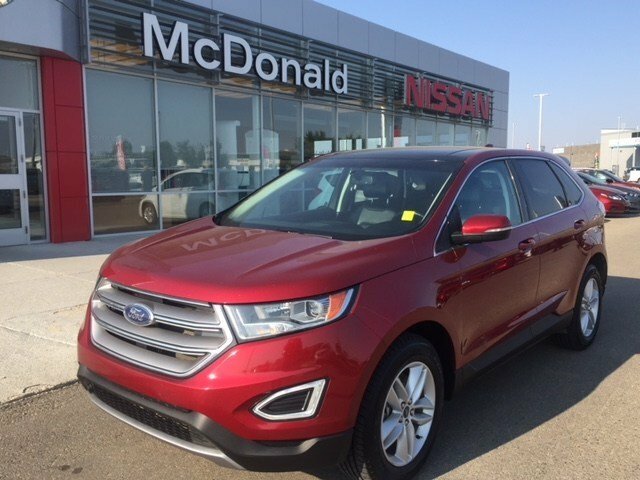 Fully inspected through our shop and equipped with a new set of all season tires this Ford Edge with All Wheel Drive is in great shape. Equipped with power windows-locks-mirrors, remote keyless entry with remote start and power hatch, navigation, dual automatch climate climate control, panoramic sunroof, rear view camera and plenty more! Interested? Please in order to serve you better give us a shout toll free at 1.888.328.9651 to schedule your test drive today! Interested by the 2016 Ford SUV AWD Edge SEL SEL Leather - Navigation - New Tires?